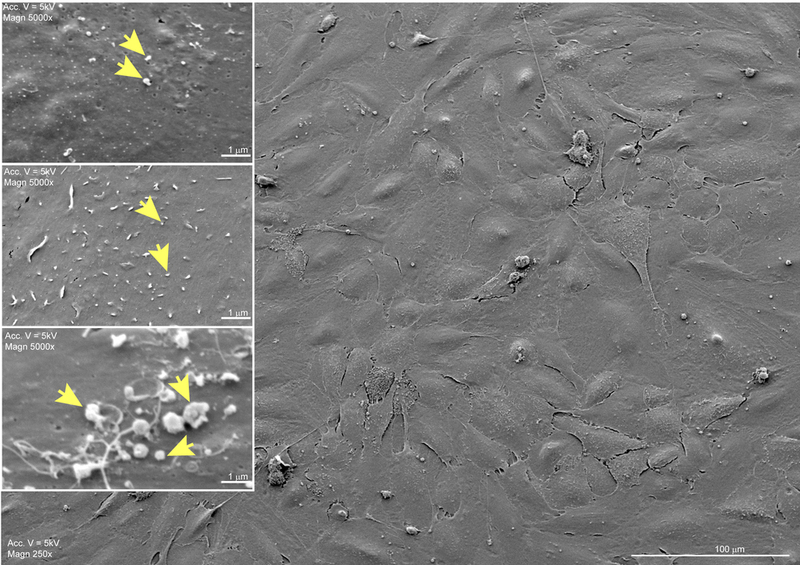 Studies from our laboratory were among the first to show that brain endothelial cells generate extracellular vesicles (EVs) in response to inflammation. Therefore, our ongoing studies continue to make significant strides towards the applicability of using EVs purified from blood serum to monitor the status of the blood-brain barrier (during neuroinflammation). 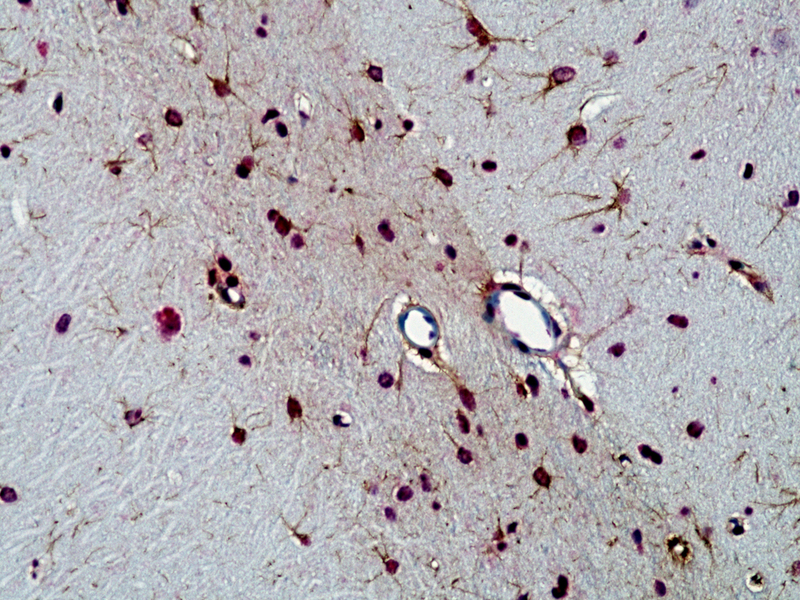 Such novel detection methodology (patent pending) and diagnostic potential could fulfill clinical needs related to prognosis related to brain injury, neurodegeneration, and CNS complications during HIV infection etc.,. We have also been exploring the role of brain endothelial EVs in their role/contribution to BBB remodeling and intercellular communication. Microfluidics for the next generation of Blood-Brain Barrier (BBB) in-vitro models for drug screening, CNS drug targeting etc., The lab is dedicated to using the latest tools for innovating new ways in which we can model the BBB so that it is closer to what is physiologically present in the human body. Therefore, our goal is to have dynamic functional neurovascular units in-vitro. This is accomplished by using custom designs that utilize both 3D printing and PDMS microfluidic chips coupled with the co-culture of syngeneic primary human cells (see our recent JCBFM paper). Similarly to physiological conditions, the above recapitulates a vascular component (exposed to physiologic shear stress) and a static "CNS" compartment. An in-vitro NVU offers many application based opportunities for the study of drug delivery, pathogenesis, toxicity and more. Using an experimental animal model of traumatic brain injury (TBI) and cocaine-induced conditioned place preference (CCP), the laboratory has found that TBI in adolescence induces chronic mesolimbic neuroinflammation, which is concurrent with an enhancement in the rewarding effects of cocaine in mice during adulthood. These results offer the first preclinical support for epidemiological findings that suggest that sustaining TBI during adolescence may augment the rewarding effects of psychostimulants in adulthood (please see our latest report in the journal of Neurotrauma). Recently, we have validated our previous studies with the use of the Self-Administration paradigm and have directed focus towards the analysis of seemingly altered neuronal circuitry between the PFC and NAc post TBI. BBB Drug targeting is a different concept than that of “CNS drug delivery”. With expert collaborators at IMAT at the University of Pennsylvania, we are engaged in studies in which antibody-conjugates are used to specifically target the cerebrovasculature after TBI. The purpose of these antibody-conjugate nano-complexes is to bind the apical surface of the endothelium and attenuate inflammation; minimizing immune-endothelial interaction, restoring BBB homeostasis that consequently would prevent failures in neural network communication (please see our latest work in Scientific Reports).